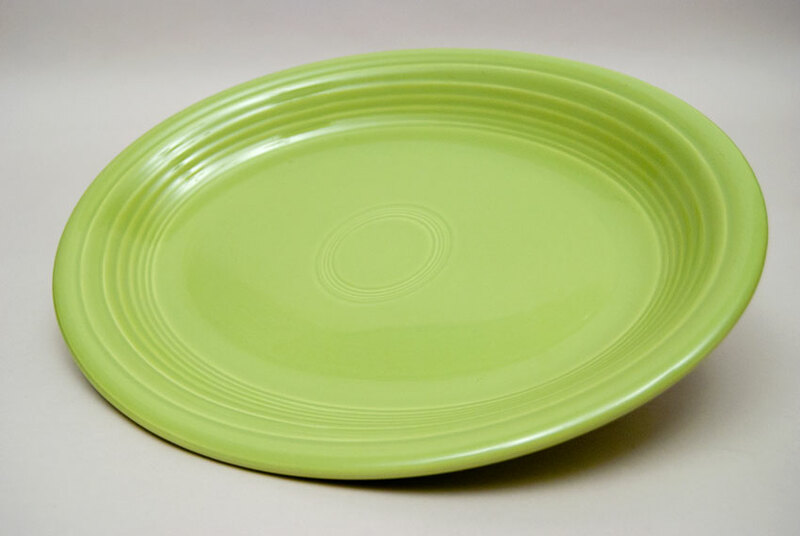 Circa 1951-1959: Like all plates, the platter would have been made upside down with the rings on the backside being hand tooled on the jiggering machine, clay would then dry, be bisque fired, cool for up to days, dipped fully in the luscious HLCo glazes, set on the stilts in the kiln (thus the three pings on the backside) and fired again. 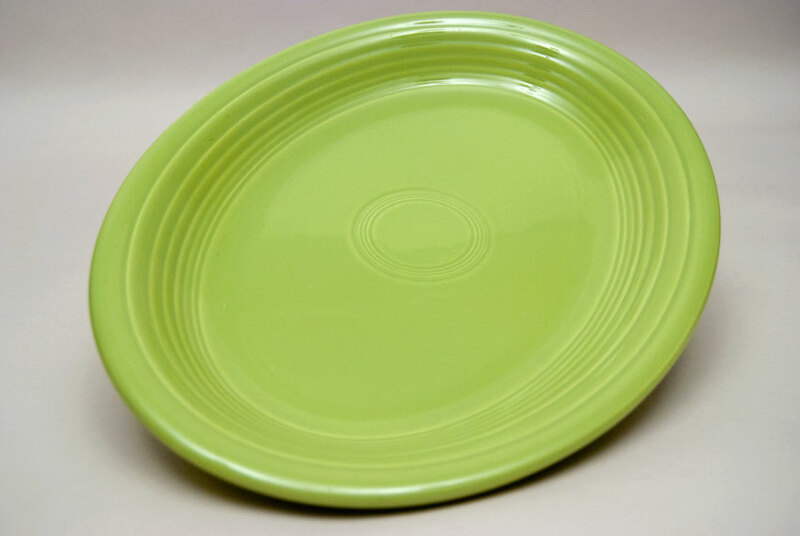 It is this great attention to detail and manual process that lends a richness to the vintage Fiesta pottery that just can't be beat. 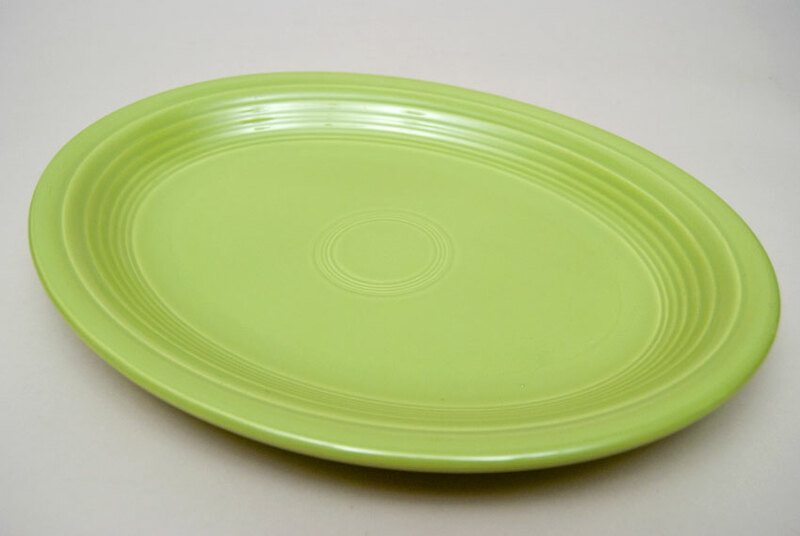 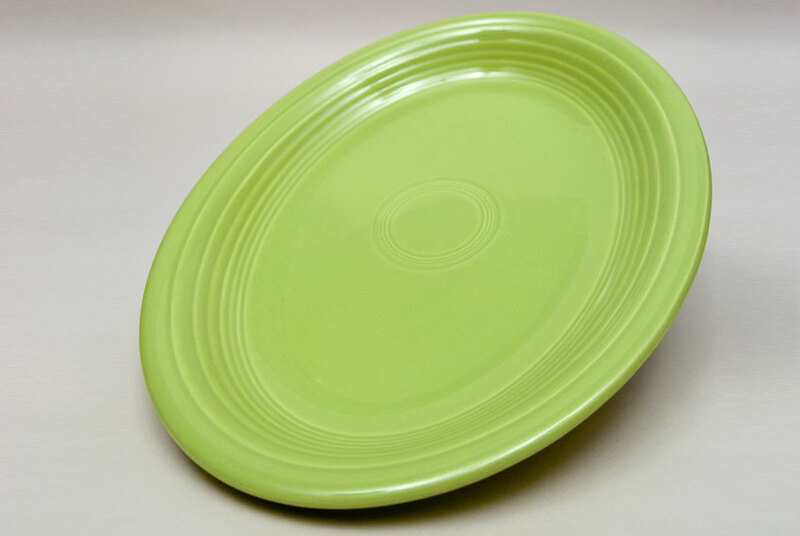 This example of the oval platter in original '50s Chartreuse glaze is in excellent condition, without chips or cracks or repairs and little to no sign of use. 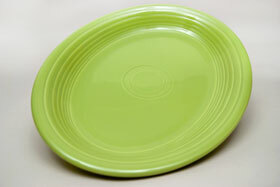 This is what you're looking for when you want to use or display a vintage original platter in your Fiesta collection. 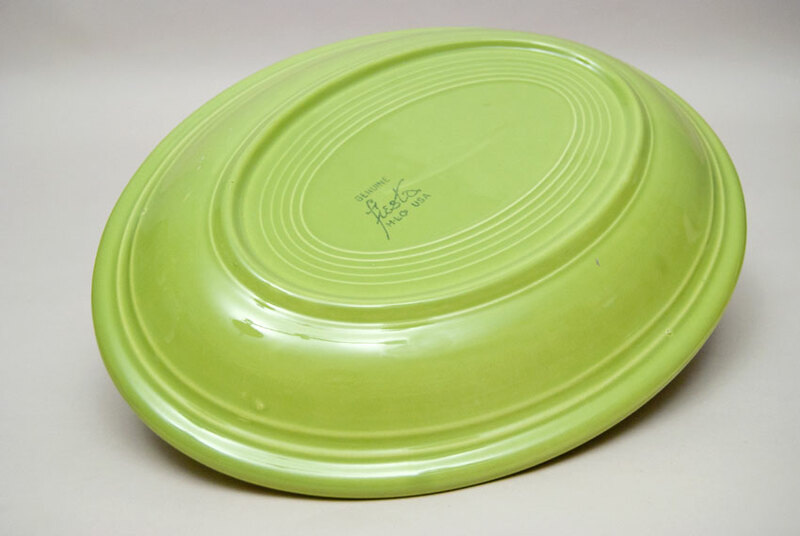 Glazed stamp on the back "GENUINE fiesta HLCo USA". Measures 12 1/2" x 9 7/8"